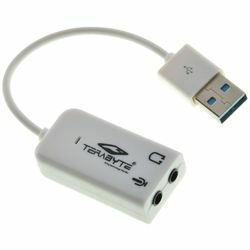 This USB Sound Adapter 7.1 Channel from Terabyte is easy to use. They are portable, reliable and serve multiple purposes. This USB Sound Adapter 7.1 Channel from Terabyte is easy to use. They are portable, reliable and serve multiple purposes.